I like to call this shot Cidade de Ouro (City of Gold). 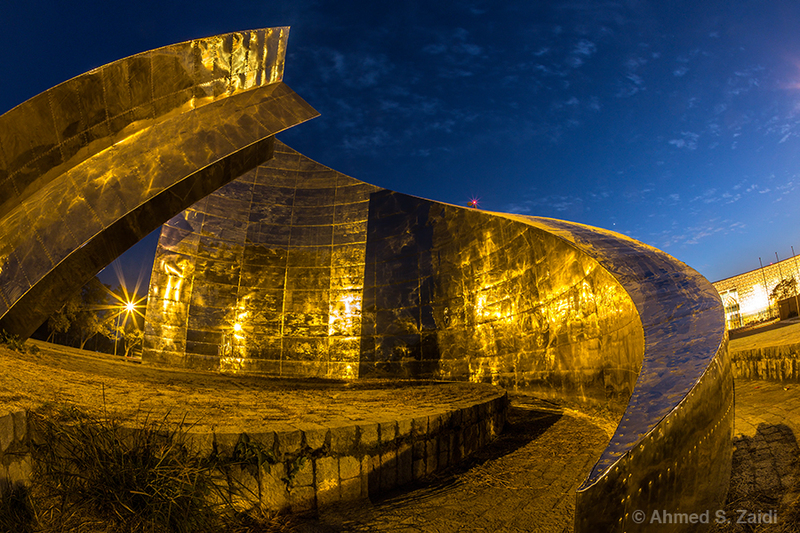 Though the monument of a star and crescent moon has a silvery, metallic finish, the street lights turn it into the golden gates to the city of Islamabad. The fisheye view gave it a different perspective and made it stand out.